..a silent witness, always by your side. 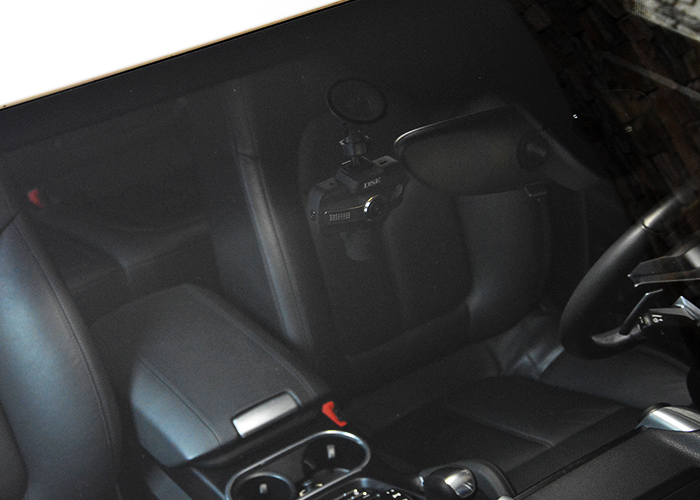 This blackbox camera for vehicles connects to the car lighter and is installed on the windshield with a suction cup. Thanks to the dual cameras, front and rear, it records everything that happens while driving, providing useful video evidence in case of an accident. In PARKING or MOTION DETECTION mode the camera continues to monitor your car even in the parking lot, providing a video file in case of a crash or act of vandalism. 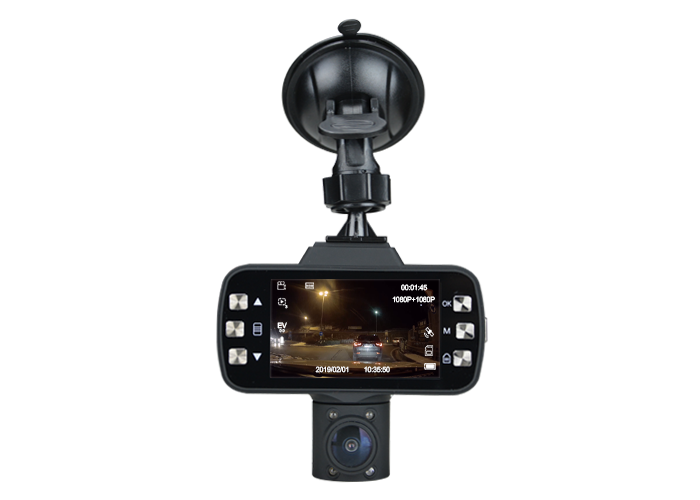 The package includes a handy suction cup mount that allows you to firmly place the camera on the windshield. Just attach the camera to the window and connect the cable to the cigarette lighter to start recording. 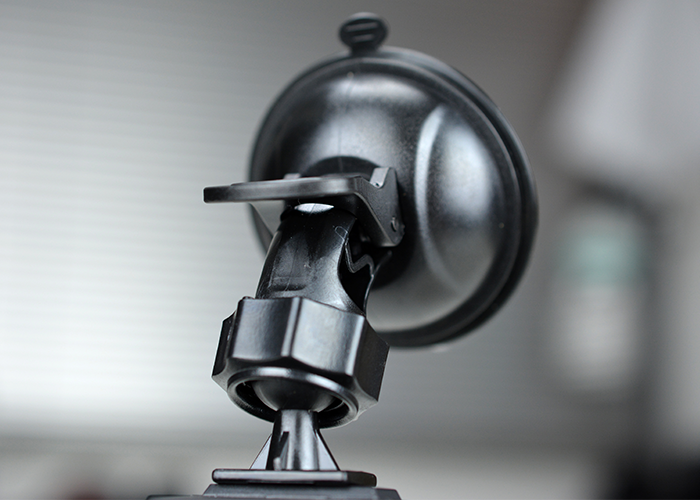 The mount also allows you to adjust the camera angle and keep it solidly in the ideal position. 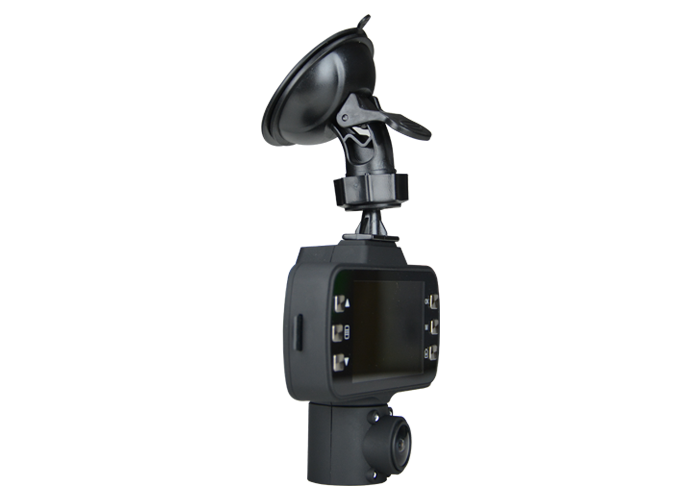 These cameras are mounted in a few seconds and are suitable for video surveillance of cars, taxis, campers, trucks and public transport vehicles. 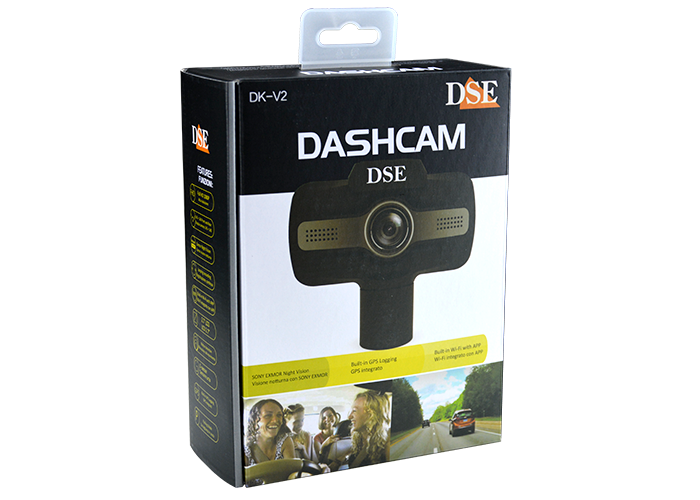 This car camera is very easy to use because it starts recording as soon as you start the vehicle. Soon it will become an irreplaceable travel companion that records any abnormal episode during your drive. 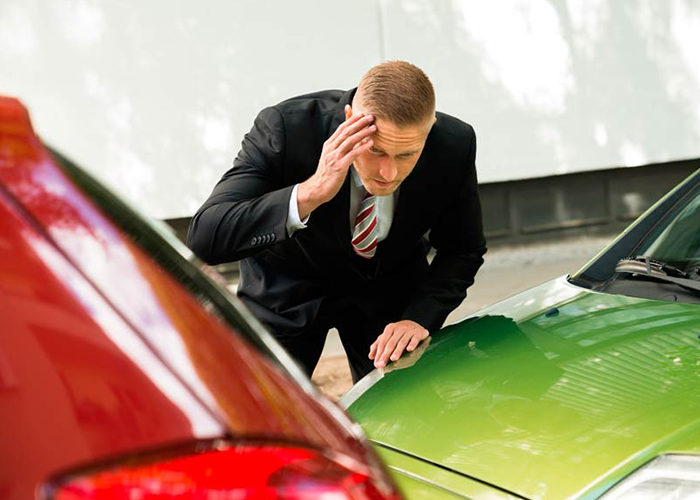 If you ever get involved in an accident, or suffer damage to the vehicle, you will be able to prove with certainty the exact dynamics of the event and will easily obtain the insurance payment. 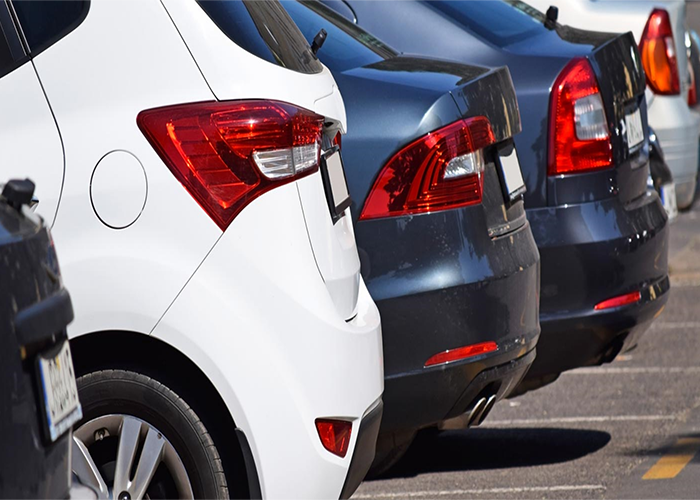 In the parking lot, the camera can monitor your vehicle during your absence by detecting movements around the vehicle (MOTION DETECTION) or impact on the car body (SHOCK SENSOR). 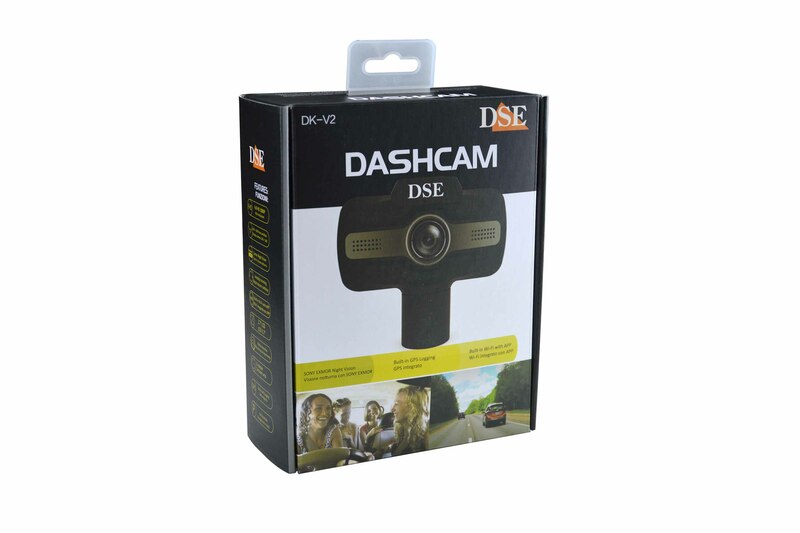 These dash cams provide a video resolution of 2 MP at 30 fps. The 2MP resolution, also called 1080P or Full HD (1920x1080 pixels), is the current standard of high resolution digital TV and allows you to capture quality and rich detail images. You can also take photos up to 12MP (4032x3024). 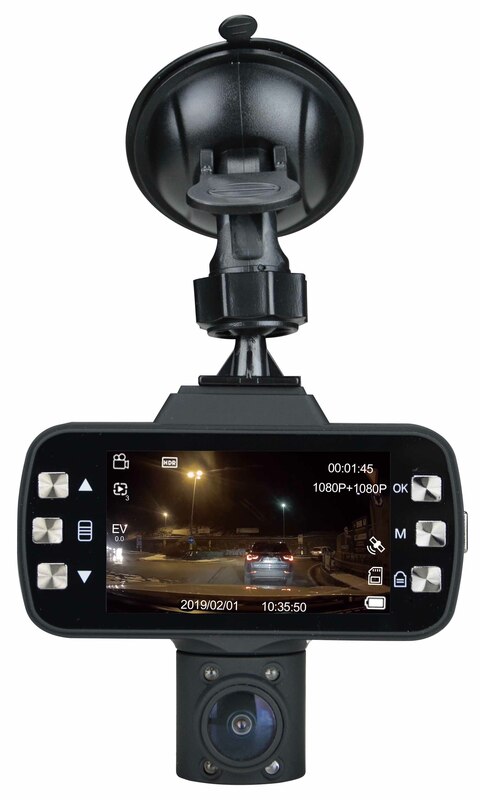 To ensure maximum performance, we use the same high-quality Sony CMOS and HiSilicon processors from our IP cameras for CCTV surveillance in these dash cams to provide optimal day and night shooting. 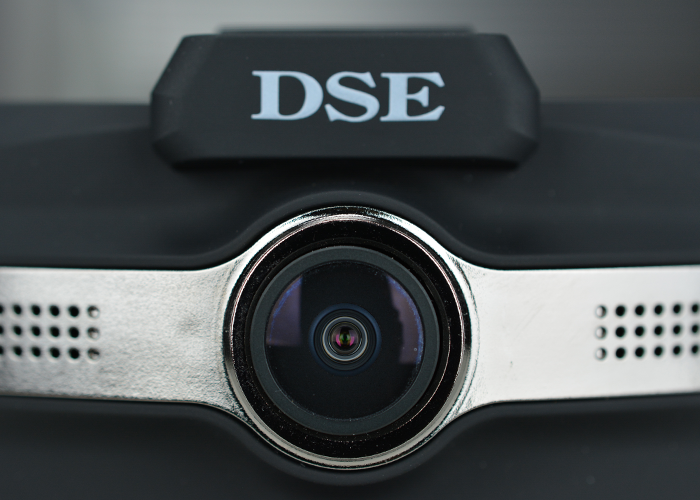 At the top of this page you can see two demo clips shot with this camera. 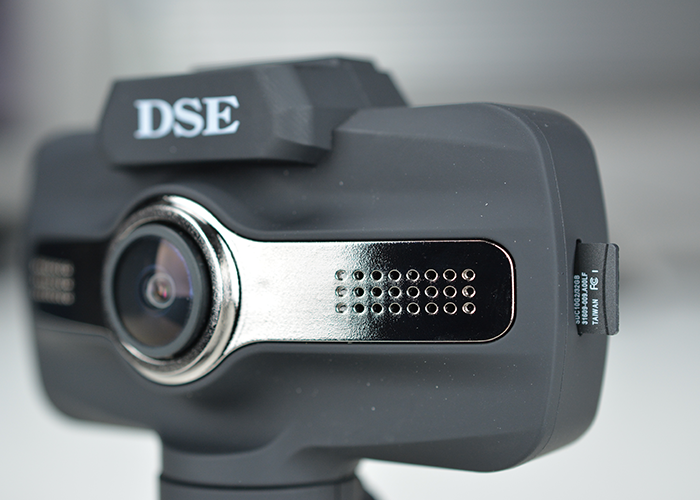 These cameras are equipped with two wide-angle fish-eye lenses with a 140° of coverage each. 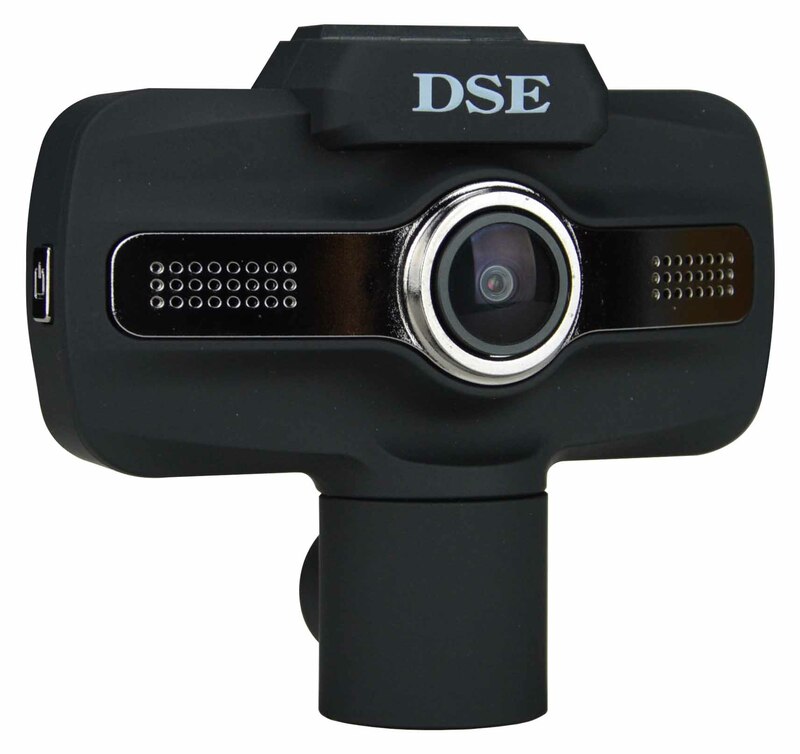 This allows you to capture everything that happens in front of and inside the vehicle. The camera also records the sound inside the vehicle, thanks to the built-in high sensitivity microphone. The audio is recorded together with the video. The back lens can be rotated 180° left and right so you are able to get the perfect framing for each shot. 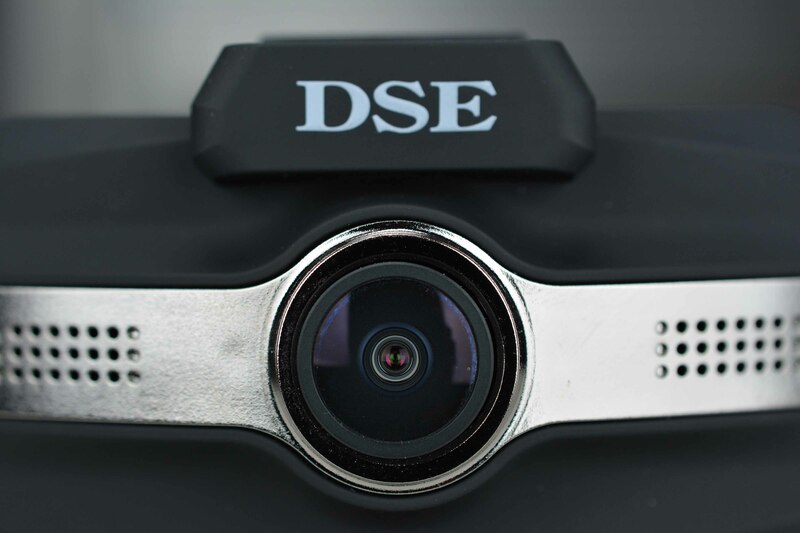 The back lens of the camera is a fish-eye lens that effectively monitors the passenger compartment and, through the windows, 3 sides of the vehicle. It is equipped with a invisible infrared illuminator and is therefore able to shoot even in total absence of light. The 4, 940 nm, infrared LEDs of this camera are invisible to the human eye, so the camera can shoot even at night without annoying the driver. 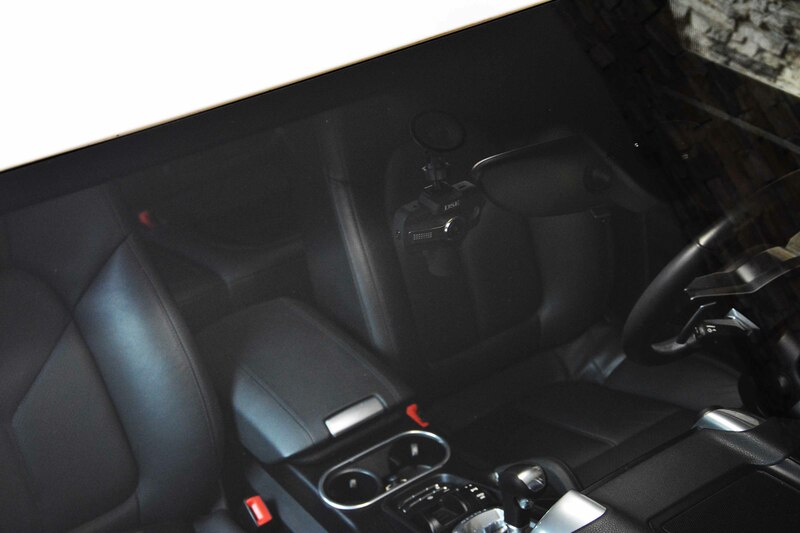 For effective night time surveillance, the LEDs are oriented to ensure visibility inside the vehicle without effecting the recording of the outside, through the windows. 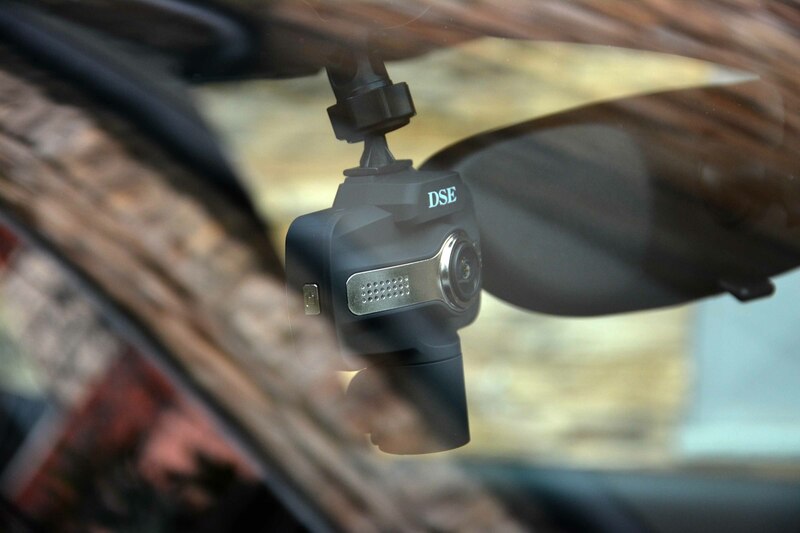 These car cameras come with built-in monitor that allows you to control the functions. 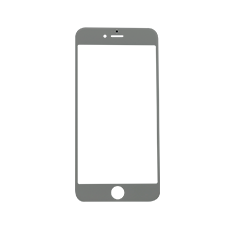 This is not a small low-resolution screen, like the ones you find in hobby products, but a large 2.7" LCD display where you can also easily play back the recorded footage. 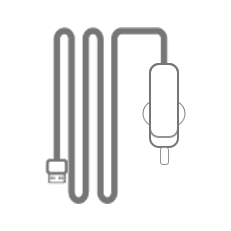 Small overlay icons allow you to immediately know the status of the camera and the functions you have activated. During normal operation, the screen switches off automatically to not annoy the driver and save battery. 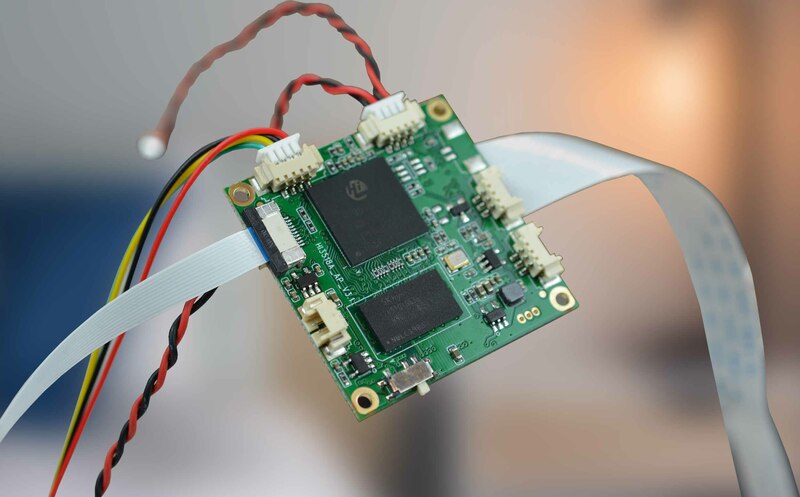 These black box cameras record videos on a removable Micro SD memory. The micro SD card is not included . 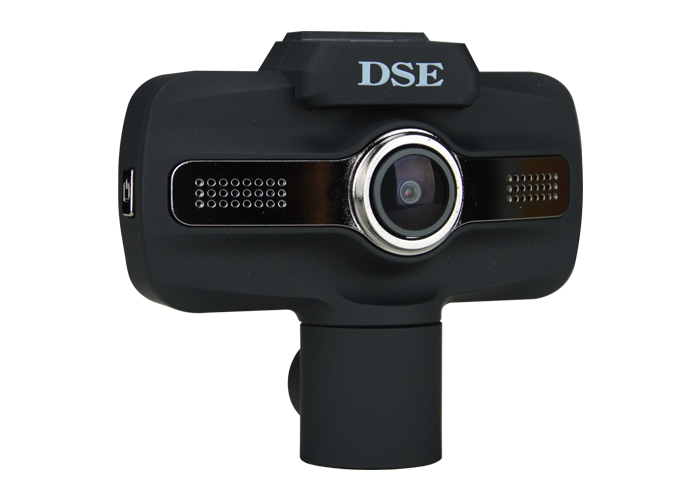 To use these cameras you have to buy separately a micro SD card, Class 10 or higher, of the maximum capacity supported by the camera. Do not buy slower SD cards, of class 4 or 6, because they will not work properly. 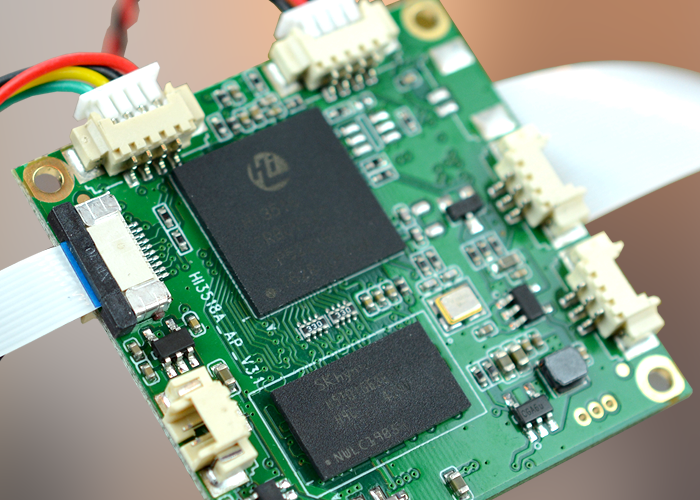 The camera records videos in H264 and allows a considerable video storage capacity. You can play back the recorded videos directly on the camera display by entering the ALBUM mode. You can also connect the camera to your smartphone via WiFi and play and download files on your phone. 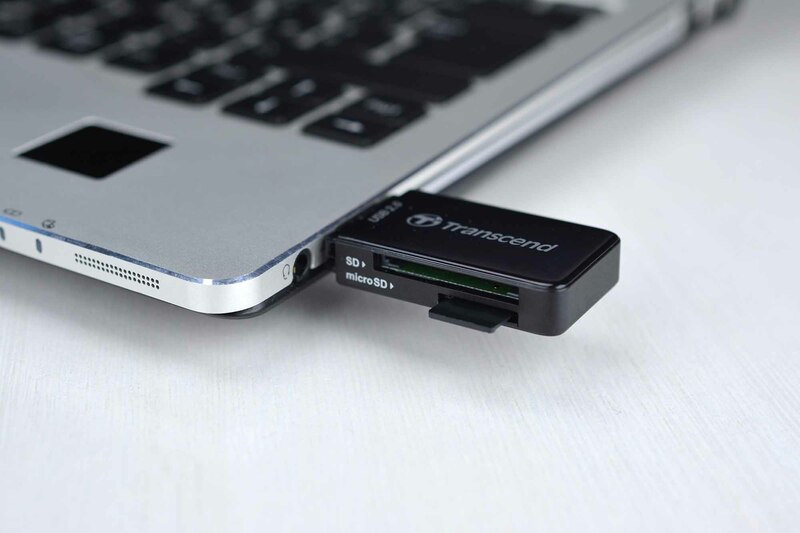 At home, you can connect the camera to the computer with the USB cable, or take the	SD card out of the device and insert it into a PC SD card reader. Video files are saved in MP4 format and you can play them with common free players, such as VLC or Windows Media Player. You can download and store important movies both on your computer and directly via wifi on your mobile phone. 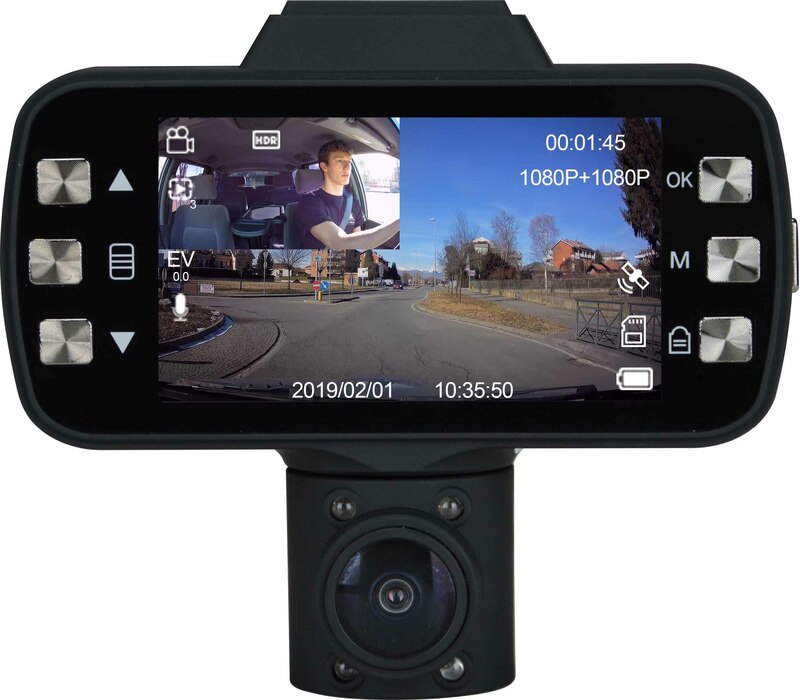 These black box dash cams come with a built-in a GPS tracker that stores the position of the vehicle along with each video frame. When you download a movie on your smartphone you can check the exact route of your vehicle on the street map, alongside the video. This function provides important evidence because it makes the action clear if an accident occurs. Usually you will program your camera to record continuously. Once the memory is full, it will overwrite the oldest files. To prevent important videos from being erased, the camera is equipped with a collision sensor ( G-SENSOR) with adjustable sensitivity. In the event of an accident, the video file is automatically protected against overwriting and saved in a separate folder for easy tracing. It is an important function, especially in the unfortunate event of a serious accident, where you may not be able to control the camera after the event. 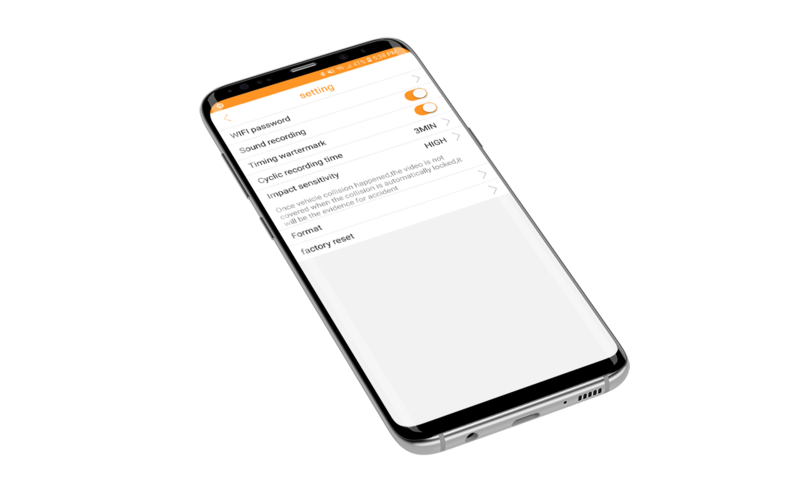 There is also a camera button that you can press at any time to manually protect an important video footage from overwriting. 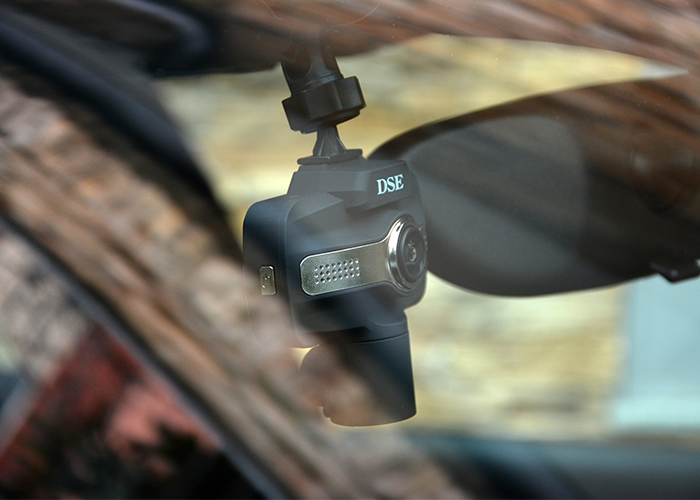 While the vehicle is parked these dash cams can record continuously or in MOTION DETECTION. In CONTINUOUS RECORDING mode, several video files are stored, one after the other. 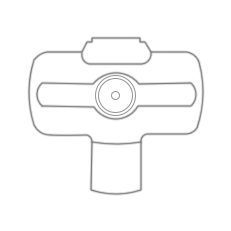 In MOTION DETECTION mode the camera only records if there is movement in front of the main lens. 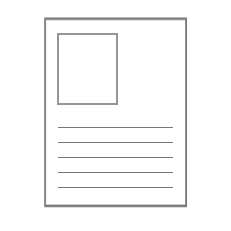 If the place where you leave the car is not very crowded, you can use this function to avoid wasting precious memory space. 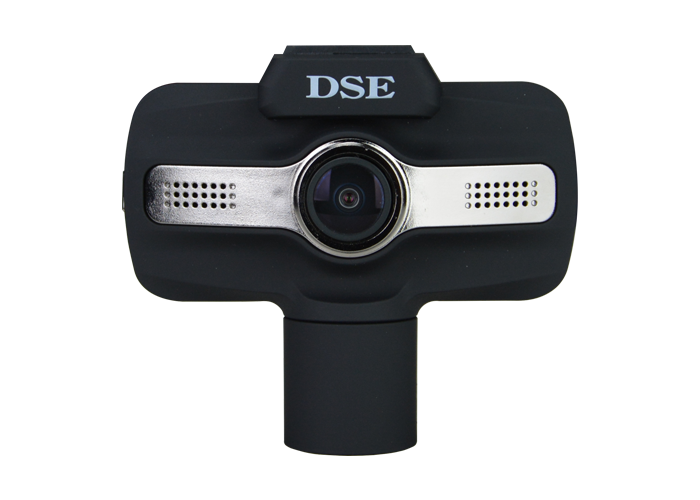 These cameras are designed to work in all temperature conditions from -20 to + 70 °C to monitor your car outdoors in every season. 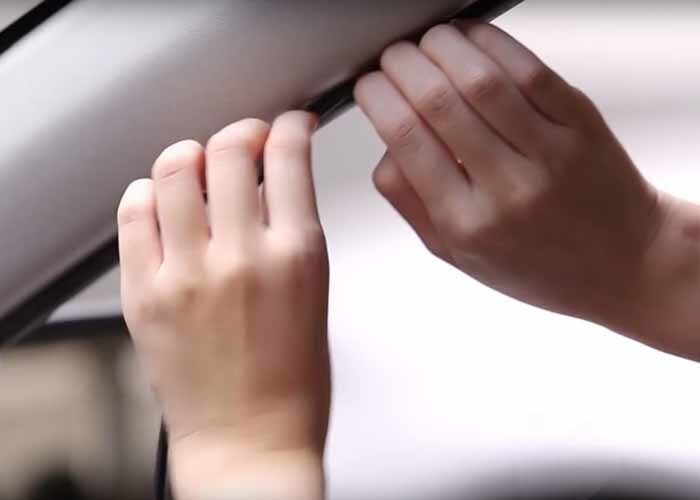 To protect your car during parking, even for long periods, you can use the PARKING mode. In this mode the camera stays turned off, taking very little power. It is activated only when a shock is detected on the vehicle. You can set the sensitivity of the sensor to detect even very light contacts. 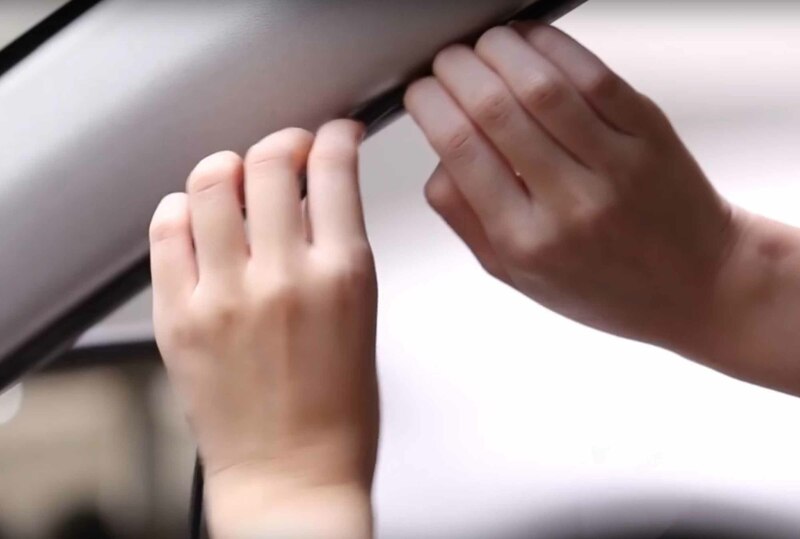 Thanks to this function your car is protected even in your absence. If your vehicle was hit while you were not there, you will find a video evidence of what happened. 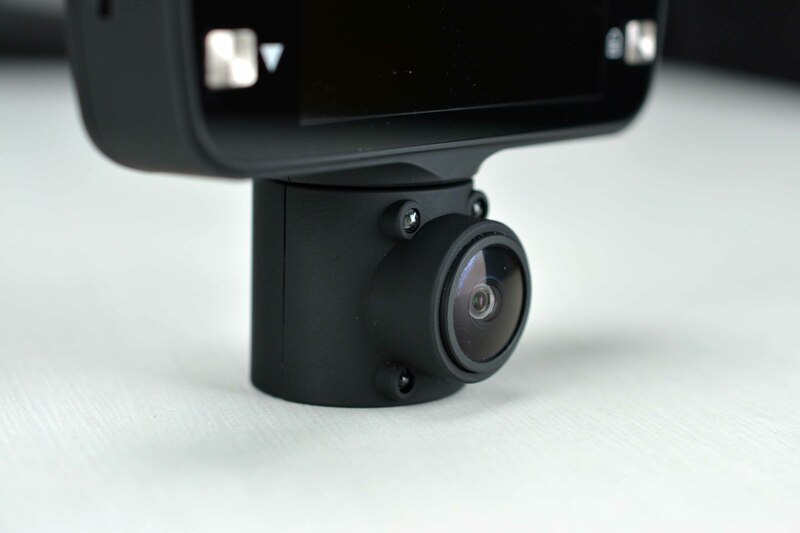 You can mount this camera yourself in seconds because it does not require any installation. 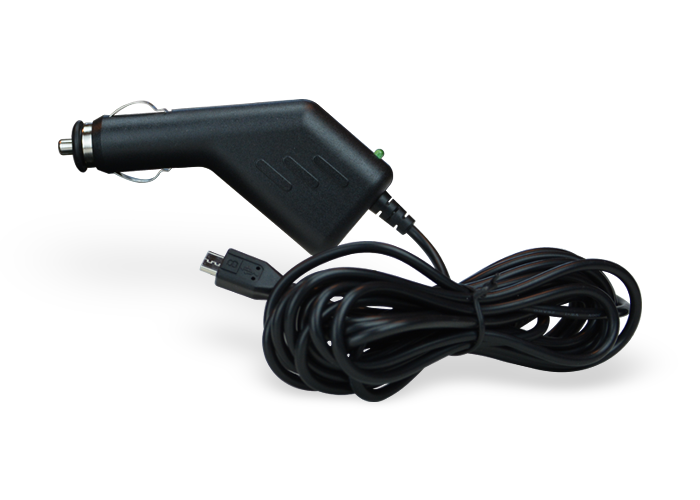 Simply connect it to the car's cigarette lighter with the supplied cable and mount it on the windshield with the suction cup bracket. Thanks to the 3m long cable you can hide the connection under the dashboard and around the windshield. The camera receives 5VDC power via the mini USB port. During parking the camera can operate on battery power and record only in the event of a collision (PARK mode). If, while parked, you want to record a continuous video, or in motion detection, you need your car to supply power to the cigarette lighter even when the engine is off. 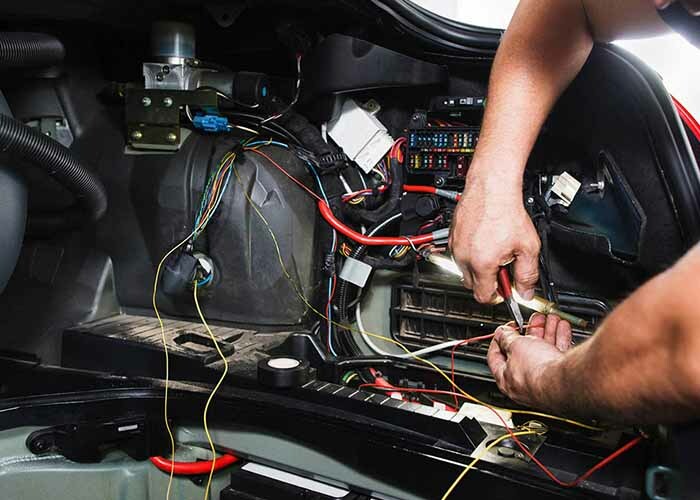 If your car cuts the power supply to the cigarette lighter, you can contact your car specialist for a quick and inexpensive adjustment to the electrical system. If the engine is off, do not leave the camera in continuous recording or motion detection for more than 24 hours, because it may drain the battery. As a precaution, you can buy a battery saver which cuts the power supply before the battery runs out. 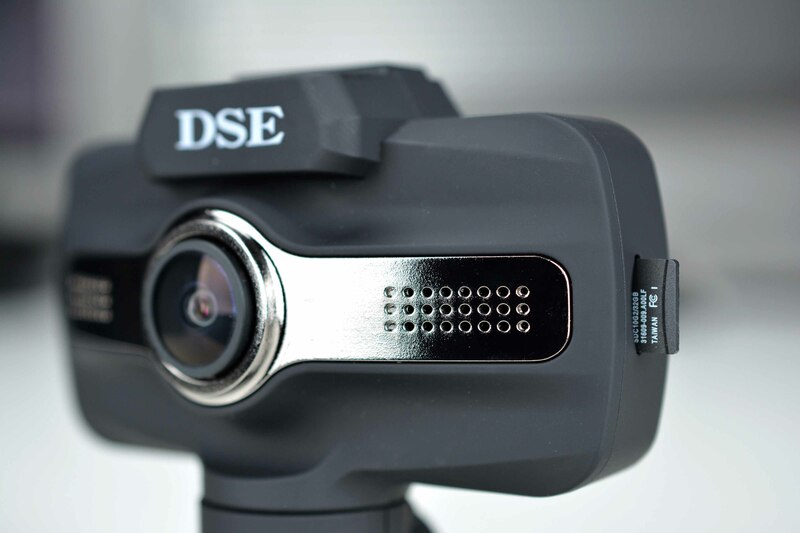 These cameras are equipped with a built-in 380 mAh rechargeable lithium battery. The battery allows the camera to record without power supply for about an hour. Thanks to the internal battery the camera is able to work even if there is a lack of power supply, which may happen after an accident. The camera works on battery also in PARKING mode. In this mode the camera can remain in stand-by for many hours, consuming very little battery, and turn on only when your vehicle is hit. Controls buttons are on the back of the camera, next to the LCD display. 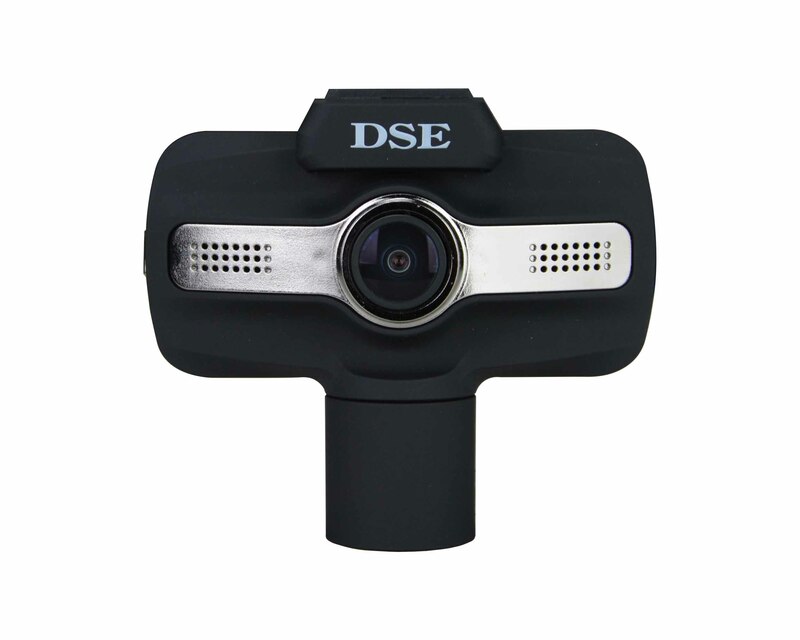 These dash cams are equipped with a Wi-Fi transmitter that allows you to control the camera from a smartphone. 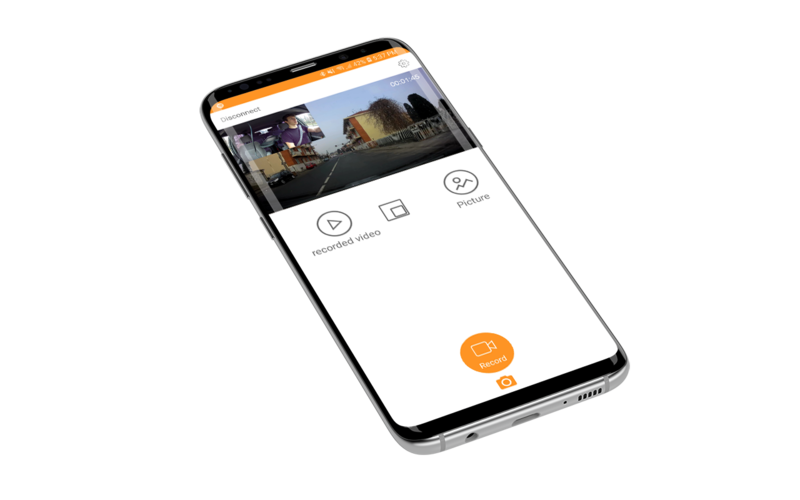 You can connect directly to the Wi-Fi hot-spot generated by the camera and watch the videos on your smartphone within 10-15 meters of distance. With our free APP for Android and iOS, you can fully control the camera with a mobile phone or tablet. 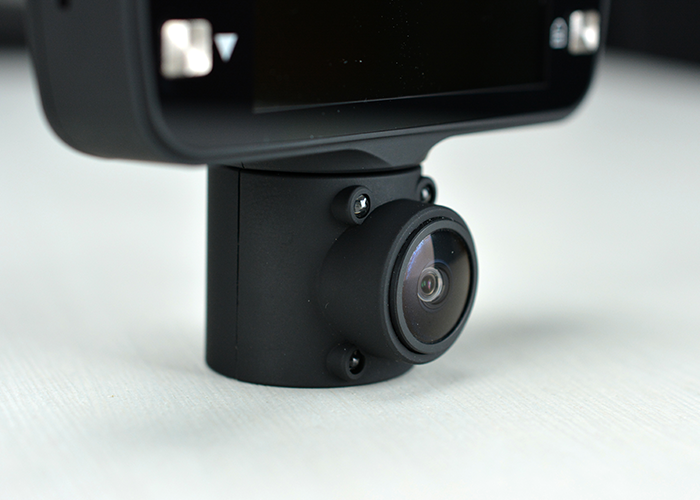 You can CONFIGURE the camera options and WATCH the live video to check the angle of view. You can RECORD and take snapshots. You can also PLAY BACK AND DOWNLOAD the video files stored in the camera, searching by date and time. 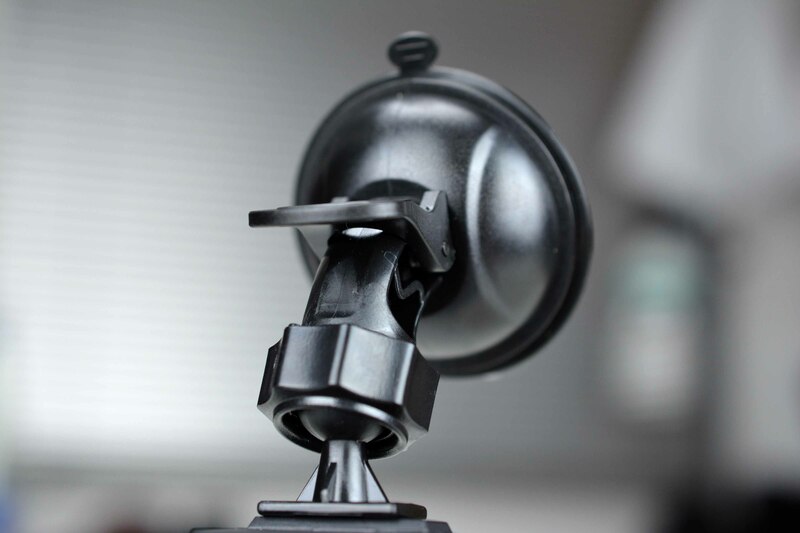 With the suction cup bracket you can place the camera on the windshield wherever you like. The best position is in the middle, under the rear-view mirror. This way it does not enter the driver's field of view and the rear lens framing is optimal. However this is not the only choice to mount this camera. If you prefer to hide the power cable you can place the camera right above the dashboard at the base of the front glass. You can place the camera it in the center or even on the left or right corner. 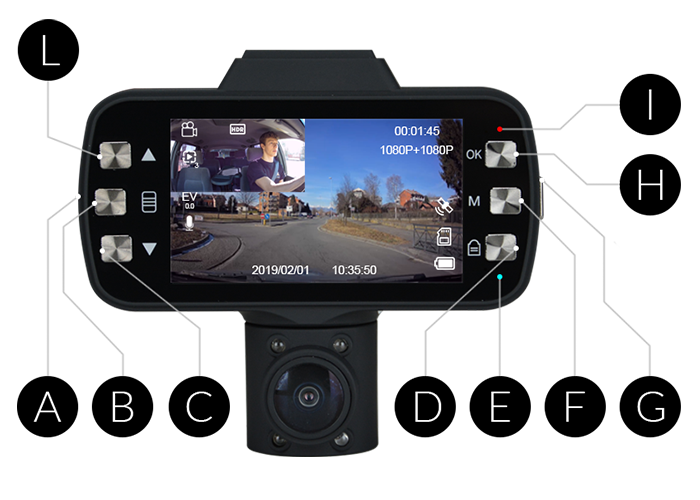 Thanks to the sweevel bracket you will easily adapt the black box camera to the structure of your vehicle. 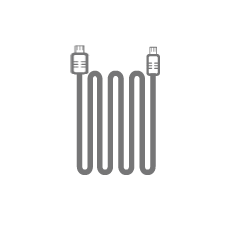 The power cable to connect the camera to the car cigarette lighter is 3 meters long. In a few minutes you can find the best path to follow in your vehicle so that it cannot get noticed. If you placed the camera under the rear mirror, you can hide the cable behind the sun visor and then under the side seal of the windshield glass. Finally you can pass the cable under the dashboard, to reach the lighter. In a few minutes you will have completed a perfect DIY installation , easy to perform on any type of vehicle. 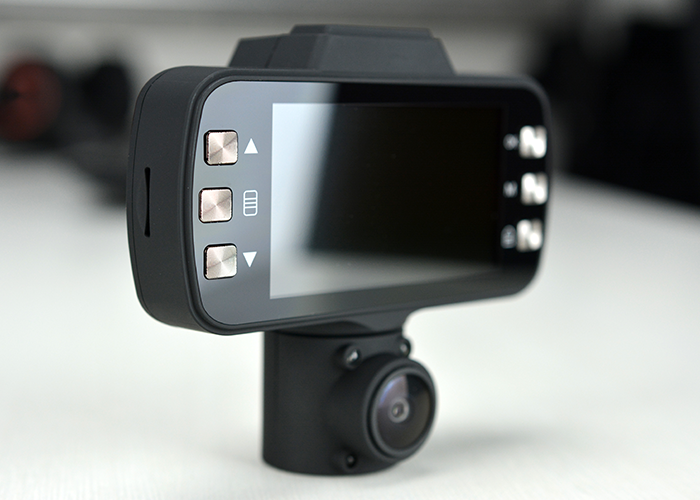 As soon as you get used to your new dash cam, it will be hard to drive without it, becouse it increase you safety. You could then consider eliminating the external power cable by having a permanent installation done by your car specialist. 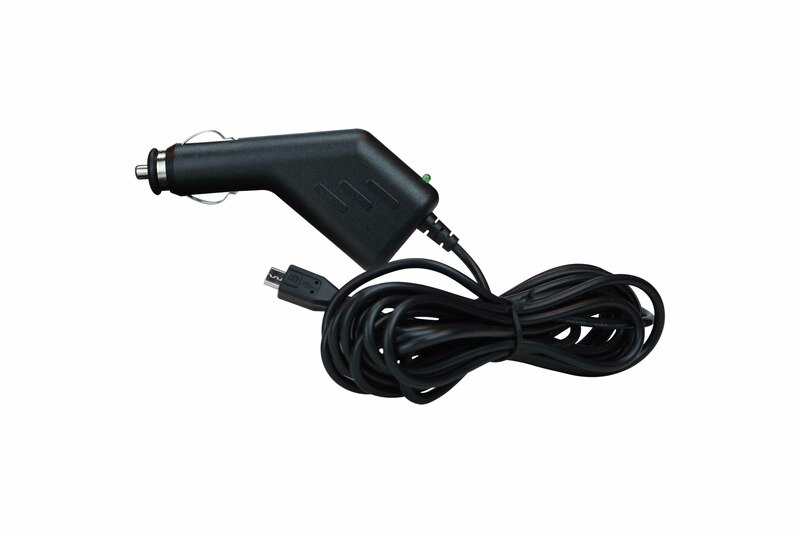 It's a quick and inexpensive operation that involves connecting the camera's power cable to the vehicle's control unit instead of the cigarette lighter. Continuous geo localization of the recorded video. Cameras record on MicroSD card. The micro SD card is not included. 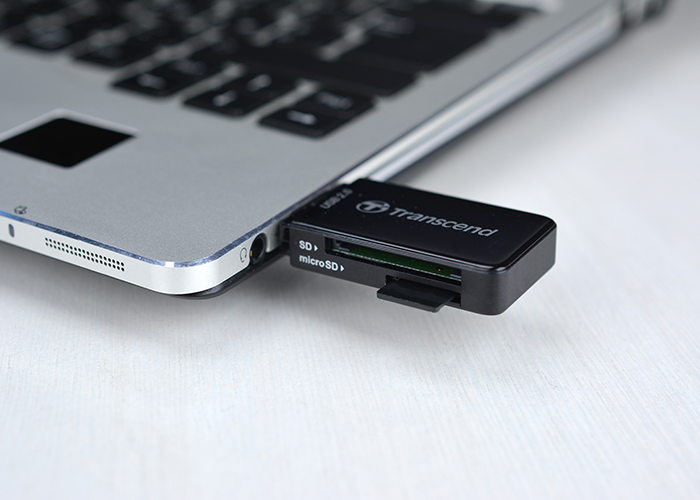 On our website you can buy a perfectly compatible micro SD card of the capacity you prefer. 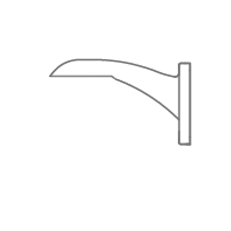 Check the maximum memory size supported by the camera in the technical data table above.